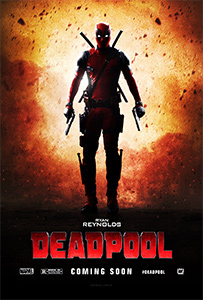 While there are no set “seasons” in the film industry, there are clusters of events which allow people who cover the industry to use the term somewhat accurately. In Canada there is a Film Festival Season that begins in August with the Montreal World Film Festival and continues until all of the major cities have hosted their own festivals, including, of course, TIFF in Toronto, and festivals in Halifax (The Atlantic Film Festival) the Ottawa International Animation Festival, Calgary, Edmonton and Vancouver. There is a similar pattern in the United States with the small 4-day Teluride Film Festival in early September beginning to attract some large, important films much to the annoyance of the Toronto International Film Festival as the pre-Oscar® festival where you want to have your film screened. The New York Film Festival usually runs from late September into October. That said, two of the biggies in the US are the Sundance and Slamdance festivals later this month in Park City, Utah. Sundance (January 19-29) has evolved over the years to one of the more important festivals while Slamdance (January 20-26) has become what Sundance started out to be. As each year draws to a close the film calendar shifts to Awards Season. The Directors Guild of Canada gets a jump on everyone else by holding their annual awards at the end of the year. The DGC handed out 17 awards on October 22, 2016 along with some special career acknowledgments. Anne Wheeler was given the Lifetime Achievement Award and the inaugural DGC Discovery Award was presented to Quebec filmmaker Chloé Leriche for her film Avant les rues. the film categories with a total of seven nominations. The sombre Manchester by the Sea has five. 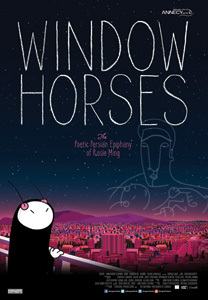 Poster for Window Horses courtesy of Mongrel Media. all get acting nods. Films vying for The Best B.C. Film Award include Aim for the Roses from director John Bolton, Hello Destroyer, KONELINE: our land beautiful directed by Nettie Wild, and Window Horses. The VFCC announced their International winners on December 20. One day later, the Toronto Film Critics Association will hold their awards gala in Toronto on Jan. 10. Contenders for the upcoming Rogers Best Canadian Film Award are: How Heavy This Hammer by Kazik Radwanski, Operation Avalanche by Matt Johnson, and The Stairs by Hugh Gibson. Quebec director Denis Villeneuve will receive the 20th anniversary Special Award for Excellence. Also on January 10, the nominees for the 28th Annual Producers Guild Awards will be announced. The Producers Guild Awards ceremony will be held on Saturday, January 28, 2017 at The Beverly Hilton in Beverly Hills, California. The big day in the Canadian film calendar is January 17th. 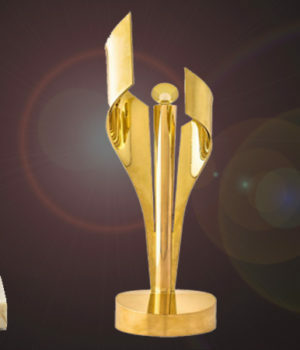 That’s the day the Canadian Screen Awards will announce their nominees for 2017. Canadian Screen Week kicks off on March 6 and celebrates excellence in media through a multi-platform, national program of events and celebrations culminating in the Canadian Screen Awards Broadcast Gala carried live on CBC, Sunday March 12th, 2017 at 8 pm (8:30 NT; 9 pm AT). It had been previously announced that Howie Mandel would host this year’s Broadcast Gala. One day after the CSA nominations, the 2017 People’s Choice Awards will air live from Los Angeles at 9 p.m. on Wednesday, January 18. The most anticipated event in the Film Awards calendar is the announcement of the Academy Award® nominees. This year the date is Tuesday, January 24 and as in years past, Northernstars plans to carry the televised announcement live. The 23rd annual Screen Actors Guild Awards, will be broadcast on TNT and TBS starting at 8 p.m. Sunday, January 29. One day before the Oscars® is the Film Independent Spirit Awards which will take place in Santa Monica, California and will be broadcast live on IFC at 5 p.m. on February 25. The 89th Oscars® will be broadcast on ABC on Sunday, February 26. If you love, like, or really hate awards shows with their glitz, glamour and occasionally air-headed speeches, now you can set your calendars.